This summer we have been really enjoying ourselves, from vacation to adventures. I wanted to share some of our favorite things as of lately ... from products, to games, to places! We have been using our Babo Botanicals Sport Stick Sunblock in Summer Scent SPF 30. It is so convenient in so many ways. I love that I can apply it so easily all over the face, and then put it right in my purse for when I need to re apply it after a long day out in the sun. It goes on sheer, and is far from greasy. Most importantly though it’s chemical free and a hypoallergenic formula made with organic oils, and Jojoba so I don’t have to worry about it leaving any rashes or breakouts on their super sensitive skin! It is also so small in size that I believe it is perfect for kids who like to do things on their own, as they can roll it right on and there isn't much rubbing work needed after. Q: Do you like putting on sunblock every day? Jace: Yes, I think its safety so that you don't get burned. Caleb: No because it gets in my nose when you spray it on. Q: What do you like about the face sunblock? Jace: Its very creamy, and soft. Caleb: It doesn't keep you white, it goes on super fast. Q: What has been your favorite Goliath Game to play this summer, and why? 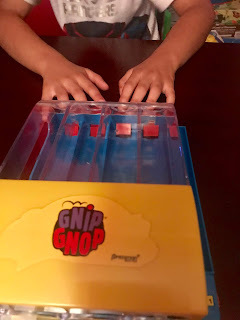 Jace: Gnip Gnop because its fun to try and get all the balls in first to win! Caleb: Domino Rally because if it goes all the way that means you set it up good! Gaming has been huge this summer for us because for some odd reason we have had many rainy days that don't allow us to do too much outdoor activities. On those gloomy and rainy days making a fun domino pattern all around the house has been very exciting to do. They love that Goliath Games has a huge selection of toys that vary in teamwork and competition. We have been asked so many times on social media and in person outside where we got our super cool graffiti scooters. Would you believe me if I told you they were only around 50 bucks on Amazon, by the company Ancheer. Plus the wheels light up while they scoot! 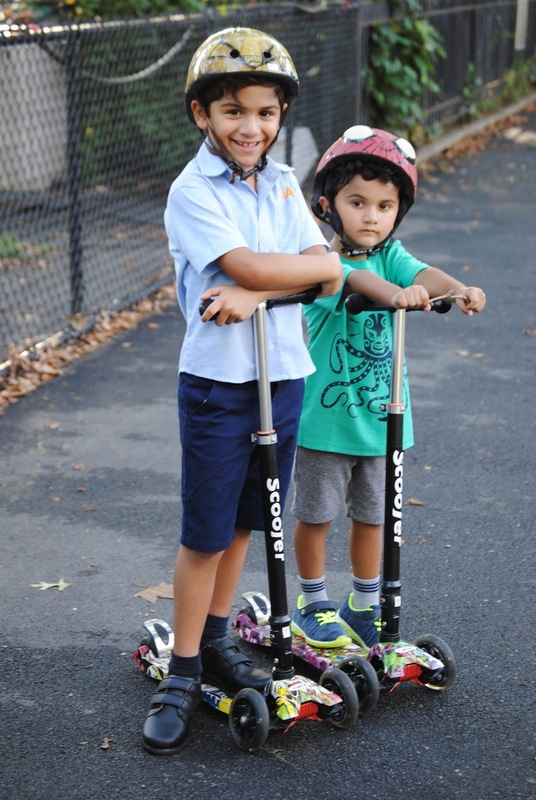 We love them and take them on the go everywhere, and I am so happy to see them getting so good at them too, they are true New Yorker kids now scooting all over the big apple! Q: What has been your favorite thing to do outside? 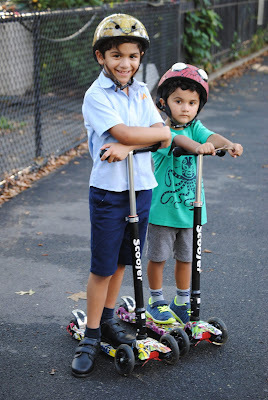 Jace: Ride my scooter because its fun going fast! Caleb: Go to the whale park and get really wet in the sprinklers, and use water guns! picnics( oh you didn’t know this was a thing?) the boys hands during the summer are always sticky and dirty. I am like every other mom in the world and I carry around wipes wherever I go! The boys have super sensitive skin so I know a more natural kind of wipe is necessary so they don't break out, and thats why we have been loving the Jackson Reece Kinder By Nature Natural Baby Wipes. Q: What has been your favorite food/ or snack to eat this summer? Q: What has been your favorite thing to watch this summer? Jace: Jurassic World because it had more action than the first one! Caleb: The Teen Titans GO to the movies because it was so funny. These two movies were such a huge hit for the boys. They love anything that is dinosaurs, and ever since we saw the first Jurassic movie they knew they couldn't wait to watch this one. Teen Titans is a show they always watch after school or during the summer now, and they laugh so much when they do. They love the comedy in it, and it is a show that as a parent I can actually sit and watch myself so thats a win win situation right there. We were so excited when we got invited to a Teen Titans GO to the movies early screening event, where we got to meet the super awesome villain in the movie Slade AKA Will Arnett. It was really fun getting to hear him do all his character voices, and of course watching the movie in advanced. You can now check out Teen Titans GO to the movies in theaters. Q: What was your favorite part about summer vacation? Caleb: Going to to the pool in Tampa, FL. I believe Tampa was our biggest summer highlight. We truly didn't want to leave, ever. It was so much fun enjoying a different scenery and I am forever grateful that we have been allowed to take our kids on all these awesome adventures. 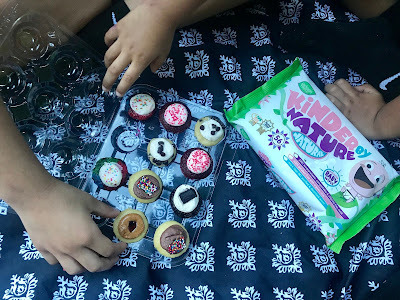 Summer is about exploration, and though I can easily do a lot of exploring with them right here in NYC, I love taking them out of what they know so they can see the rest of the world... but we are taking baby steps at the moment and not going too far. Though I am excited for them to be ready for some 7+ hour rides to London. Tampa was a big hit, and I was scared it wasn't going to add up to Orlando where most people take their children around this time. 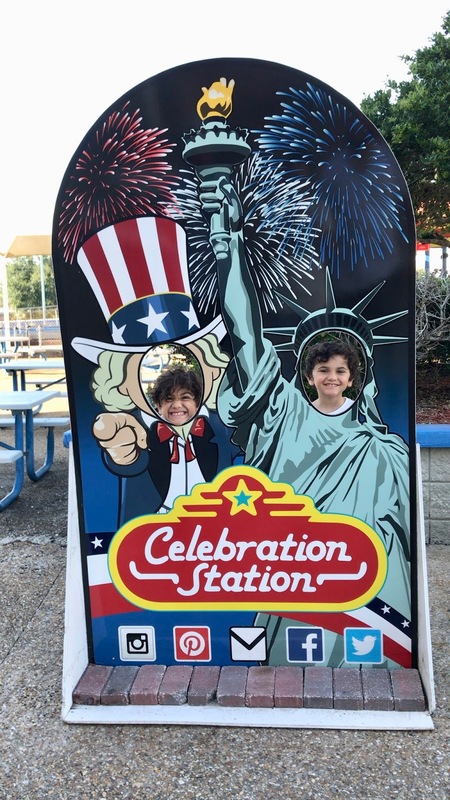 I just knew it wouldn't be the best time to take them to Disney, not just yet. So we settled for Tampa and it was amazing. We found this awesome little action packed amusement park where we got to do so much. I will be doing our top five favorite Tampa places on the blog soon, and it will go in depth on the locations, so this one will be on there for sure. Summer is not over yet, so we are making the most of it right now from swimming lessons, to beach days, and just exploring different places of NYC that we have never been before. Hope you and your kiddos are doing the same. In the comments share with me your favorite childhood summer memory? - Some products listed above were sent to us for reviewing purposes, but all opinions are our own and 100% honest. Sunscreen tip is great, mine hate it when i put it on their face because it gets in their eyes. We have not tried that game but it on the game night list.